Kara consulted with me via Skype in May of 2016 for her daughter who was suffering from debilitating anxiety and alopecia areata (hair loss). She had seen conventional doctors, had tried steroids (the standard of care for this condition), but had seen no resolution. 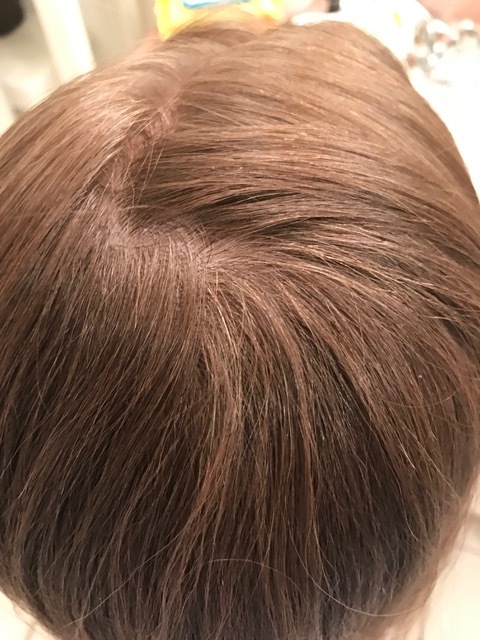 We first started Calcarea phosphorica as her constitutional remedy and an Unda remedy for alopecia (a low potency detox blend) for her daughter, and while there was some resolution of her anxiety, and the slightest bit of hair growth around the edges of her alopecia patch, the results were less than significant in our minds. I re-analyzed her case and changed her remedies: arsenicum metallicum as her constitutional remedy and carcinosin to clear a suspected miasm (block to her case). 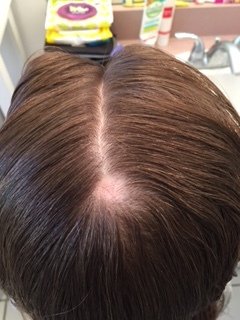 Within a month there was a noticeable difference in both anxiety and hair growth. 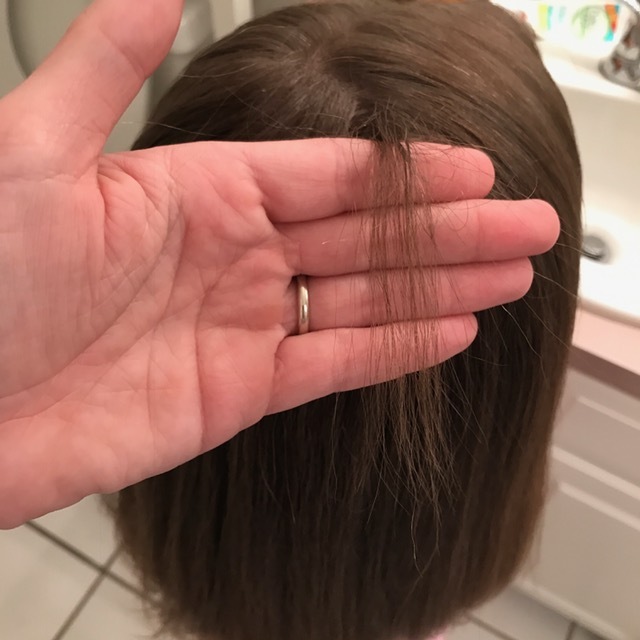 We continued on this path and after a year she had more than 5 inches of new hair where the alopecia patch had once been! In the photos above, Kara is holding out her daughter’s new hair growth. One year later, she had a return of her anxiety after an illness (suspected PANDAS) and we then had to use two new constitutional remedies to get her back on track. First, lac equinum (often can be useful for performance anxiety, which was part of her presentation of anxiety), and then baryta carbonica. She’s been phenominal, no anxiety, she did a world championship (gymnastics) and had no anxiety, before lac equinum she totally panicked, this time she was one cool cat. If you are interested in inquiring about a consultation with me, please email me directly: steph@stephanienewtonhomeopathy.com or click here to view my schedule and make an appointment!